If you’ve ever had to pay rush rates to the printing shop down the street because your copier or laser printer’s toner hit empty way before its time, you’re not alone. Or if the toner held up through more office memos and reports than expected, you might have wondered how you lucked out. 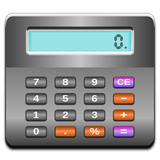 Either way, a wide discrepancy between estimated and real-world costs can be frustrating when planning a budget or shopping for office supplies. The page yield noted on a toner cartridge package provides an estimated number of pages that the cartridge will print, with “estimate” being the operative word. We’ll look at the variables in a moment. Page yield is based on 5% coverage. Yes, text and/or images, on average, cover only a miniscule part of the page. Industry research shows 4% to 5% coverage is the average for a black-and-white page. An example of what 5% toner coverage of a page looks like, according to ISO 19752. The testing done to determine the page yield estimate for a particular cartridge may be done by a manufacturer using its own methods or following industry standards. To help consumers comparison shop more effectively, the International Organization for Standardization (IOS) and the International Electrotechnical Commission (IEC) set standards for monochrome and color toner cartridges in 2004 and 2006, respectively. Quality brands from HP to LINKYO toner adhere to these standards. The IOS/IEC standard noted on a package doesn’t make the page yield any less of an estimate. But it does tell you the toner was tested for page yield in the same manner as all the others that adhere to this standard. This allows you to compare apples to apples. So What Does Make the Difference in Yield? Page coverage: If you have less or more than 5% page coverage, the usage will go down or up accordingly. Color printing means more page coverage due to the chemistry of the toner and printing process. The average coverage for color graphics is 40 to 60%. Letter/A4-size color printers and copiers average around 7 to 15% coverage. Office Climate: I’m not referring to the smiles or cold shoulders at the water cooler but rather the humidity and temperature. A hot and humid day doesn’t just cause clothes to cling to sticky skin. High temperatures and humidity cause toner particles to clump together, and this lowers performance. Images: Printed images are composed of tiny dots and patterns of dots, and these require varying levels of toner contrasted to the more consistent levels used in text. Job Size: Printing multiple pages in one run is more efficient than printing the same number of pages, but with breaks in between. Just by running, the printer consumes some of the toner. Since the printer doesn’t run as long for one 30-page job as for three 10-page jobs, it uses less. Two-Sided Printing: Printing the front and back of pages saves paper but not toner. Unlike ink, toner is not cheaper than paper. Forgetting to Shake: We all know how easy it is to forget to shake the bottle of juice. Some toner cartridge packages direct the user to shake the cartridge when low toner is indicated by the light or fading print. Follow the copier or printer’s guide, and shake that toner to get more yield. Standard vs High Yield: Page for page, a high yield toner cartridge costs less to use than a standard. However, shelf life is a factor. The toner’s shelf life is one or to three years, depending on the cartridge and brand. If you don’t use most of it before its expiration is up, then a standard cartridge may be more efficient. 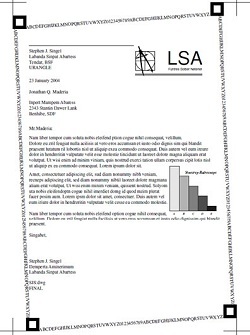 Resolution: Before printing, set the resolution to match the document’s usage. There’s no need to use high resolution (and a higher amount of toner) for low level usage such as a draft or office memo. Save the high resolution for mission critical prints, such as materials for customers and investors. There’s other things that come into play too, but paying attention to these basics can narrow the gap between estimated and real-world toner page yield. 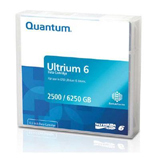 ← LTO-6 Ultrium Tapes for Data Storage Solution?